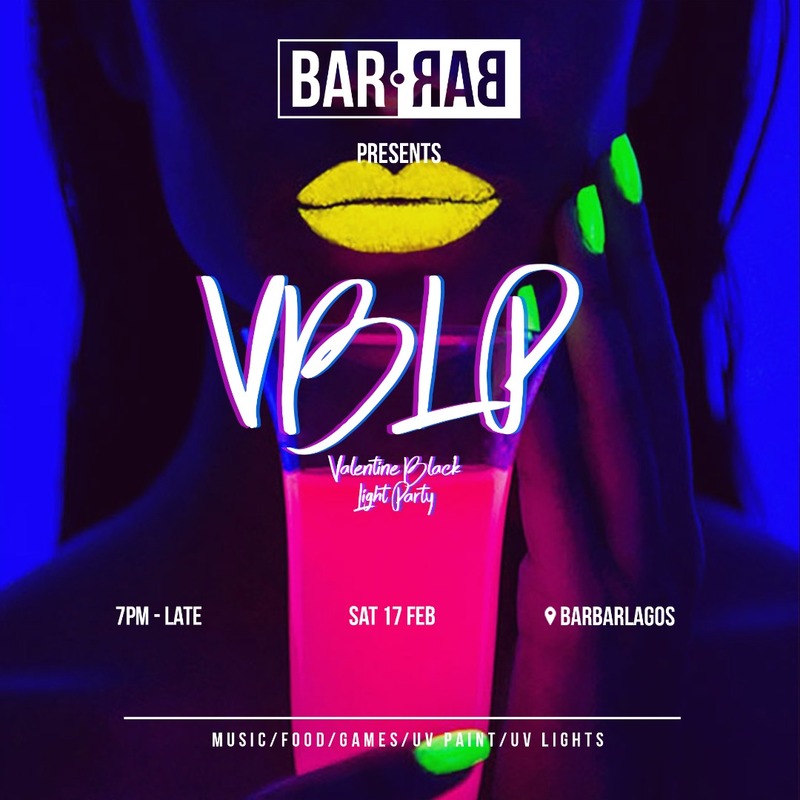 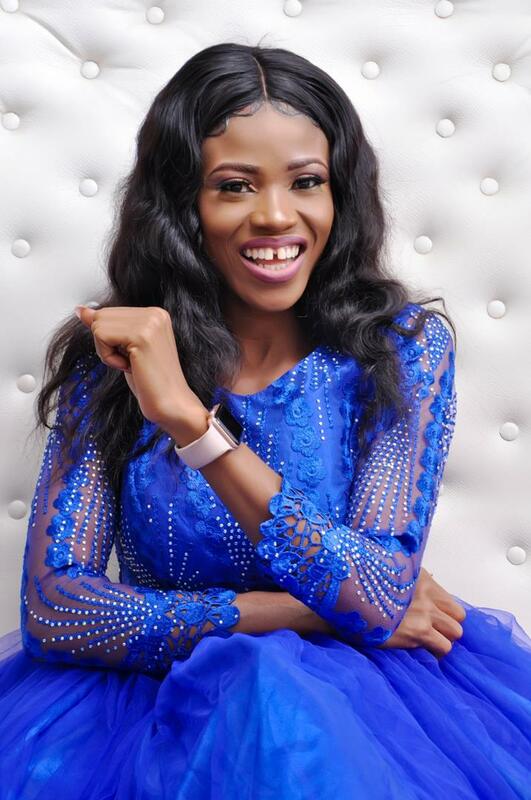 Valentine is in the light this Saturday at @BarBarLagos at our #ValsBlackLightParty! 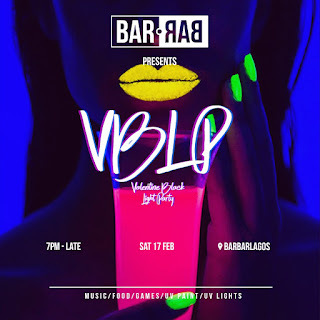 Join us for a night of non-stop music, exotic cocktails, delicious Food, carnival games, UV Lights and Painting and good vibes! Be sure to sign up via the link below!